In 2016, VA11 Hall-A transported us to a cyberpunk world of neon, alcohol, and talking dogs. 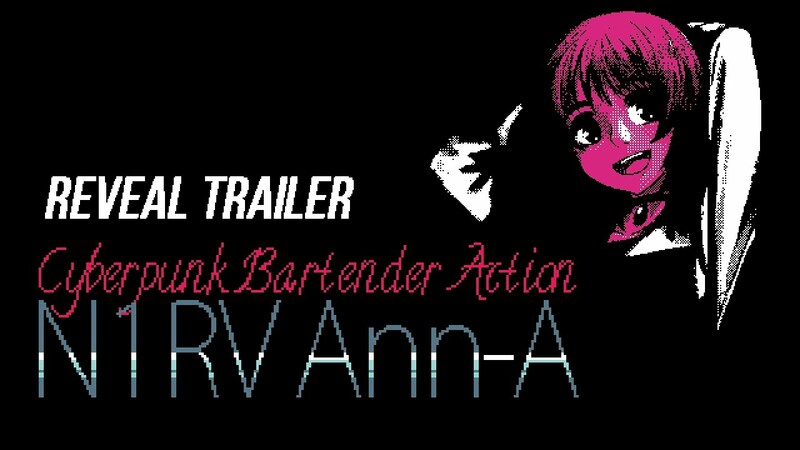 Now, creators Sukeban Games have announced a sequel to the bartending visual novel, titled N1RV Ann-A. 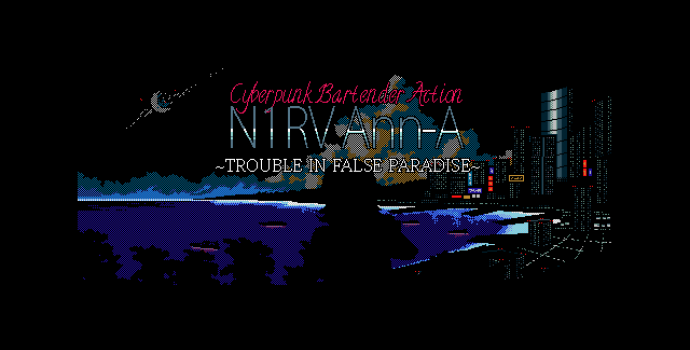 According to publisher Ysbryd Games, the upcoming title moves the action from Glitch City to Saint Alicia, an “idyllic paradise” which conceals “a seedy underbelly” of “mafia extortion, trafficking, and other sordid crimes.” Players take control of Sam, a bartender working to support her son Tony and contend with her partner’s work as a Yakuza. Against a backdrop of crime, augmentations, and colorful characters, Sam seeks to “put her misdeeds behind her” as she mixes drinks and changes lives. N1RV Ann-a is slated for a 2020 release, which means it might be a while before we dive back into Sukeban’s stylish creations. The game is planned for Steam, Switch, and PS4, with both English and Chinese language support. There’s no telling what paths N1RV Ann-a will lead us down, but since VA11 Hall-A was VGCC’s Game of the Year, we’ll be looking forward to the journey.